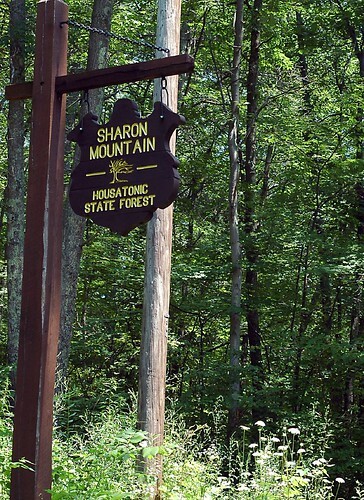 sharon mountain, originally uploaded by jahansell. I always start humming when I drive past this sign, in on West Cornwall Road. There's a little lullabye I used to sing my daughter when she was a baby, called "Snows are Falling on Douglas Mountain..." of course, I always changed it to "Snows are falling on Sharon Mountain, snows are falling so deep, snows are falling on Sharon Mountain, putting the bears to sleep. " And I'm sure there are many bears in these woods - I've seen them myself! Would love to hear the tune to this little lullaby! but I really don't want to see any bears!